Topping our list is Bayswater Riverside Gardens as it offers everything you need in an exercise area for your dog. 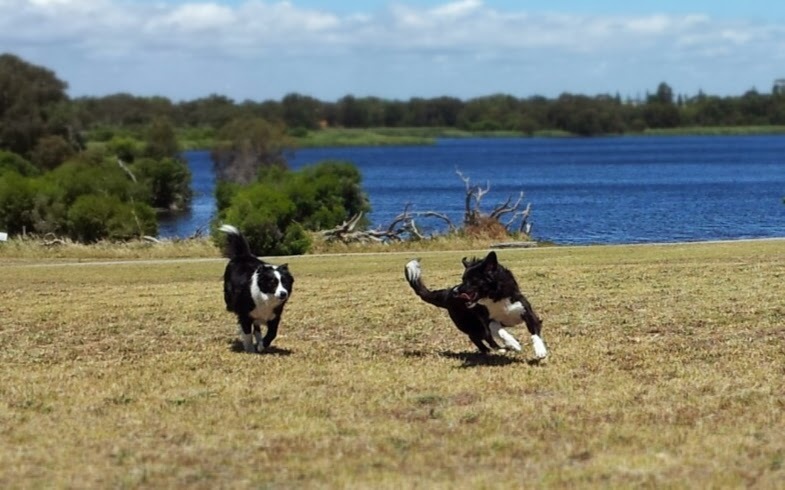 This popular park for pooches features river frontage with picturesque views of the Swan River and not one but two beaches for your dog to enjoy a splash! With gazebos, barbeque facilities and a playground, this is also a great family picnic spot. Whilst you are there, why not check out The Cool Breeze Café, a mobile caravan, located within Riverside Gardens, which offers a ball-lending library service to customers and dog owners! Access: Milne & King William Streets. Whilst dogs must be kept on a leash at all times within Whiteman Park, there is a 2.5 ha Dog Park allowing dogs to exercise off-lead. 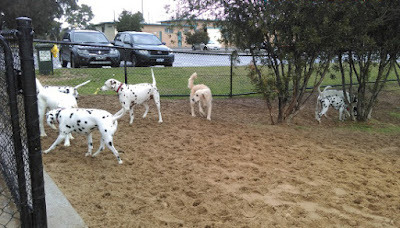 The Dog Park features double-gated entry/exit points to allow the safe leashing/unleashing of your dog, lots of shade, multiple water points and over 500m of walk path within the enclosure. Small dogs (under 10kg) are also catered for, with a smaller separate enclosure just for them. Located in the Mussel Pool East precinct, the Dog Park is completely fenced off and contains an obstacle course designed especially in colours that the dogs can see! 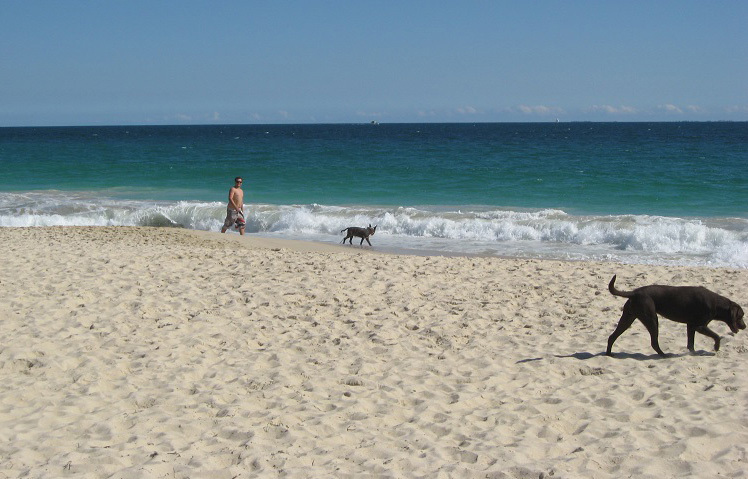 Whitfords is a great offleash dog beach and very popular with locals so be prepared for it to be busy! The water is quite shallow so it is not dangerous for dogs and they can swim around quite easily. Please note that there is a horse beach right next to it so be prepared for this if your dog has a tendency to get carried away! There are great amenities with a great coffee van, toilets and showers at the parking lot. There is also plenty of drinking water available for dogs after an exhausting day. 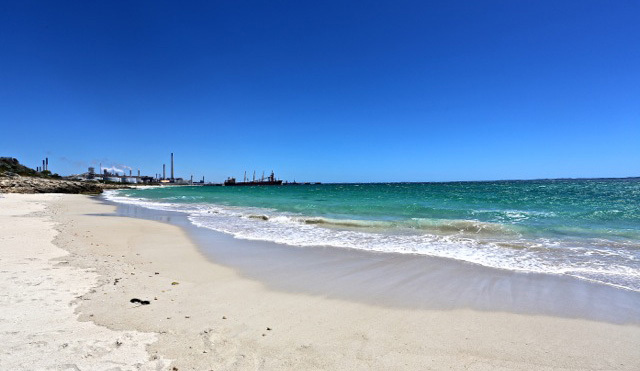 Access to the beach is located off Whitfords Avenue, Hillarys. 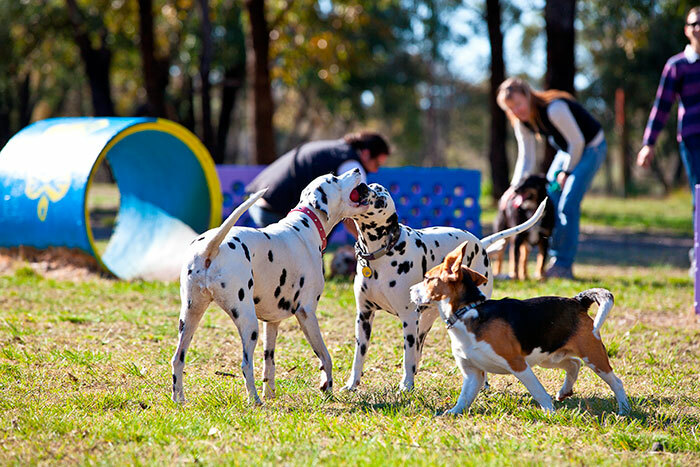 As one of the few enclosed dedicated dog parks, dog owners from far and wide around Perth bring their dogs here to have a good run around and socialise with other pooches. Entry into the park is double gated and there is a gazebo at the entrance, especially handy for some shelter for dog owners on rainy days. Access: Look out for the “bowling club”sign for the turn off from Central Ave into Stancliffe St.
Want a dog-friendly hiking trail but don’t want to drive out all the way to the Perth Hills? Bold Park is the answer if you live west of the CBD and there is a great network of trails to explore. This popular Perth location is spectacular during the spring wildflower season. It also delivers amazing views of both the Indian Ocean and Perth Hills. You can tailor your hike using one of the many trails available and best of all, your dog is more than welcome. Highlights: Reabold Hill Lookout, Zamia Trail, Indian Ocean Lookouts, City Views. 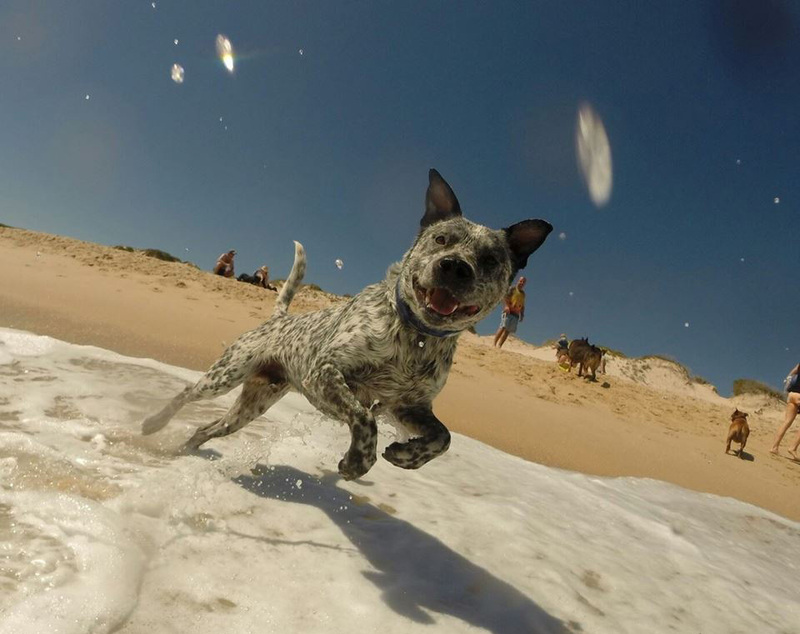 This long stretch of soft white sand is a great swimming beach for dogs and people alike. Located between Floreat Beach (also dog-friendly) and Scarborough/Brighton, this is definitely a worthwhile beach to visit if you are happy to endure quite a long walk over the dunes, which can be tiring on hot summer days. In the summer months you can take advantage of the dog washing service so your dog can get in your car dry, clean and smelling fresh! It is a good idea to look at the alternative car parks further South as spots can be hard to find on busy days. Access: Peasholme St. (northern) carpark, where you can give your dog a drink from a freshwater tap. 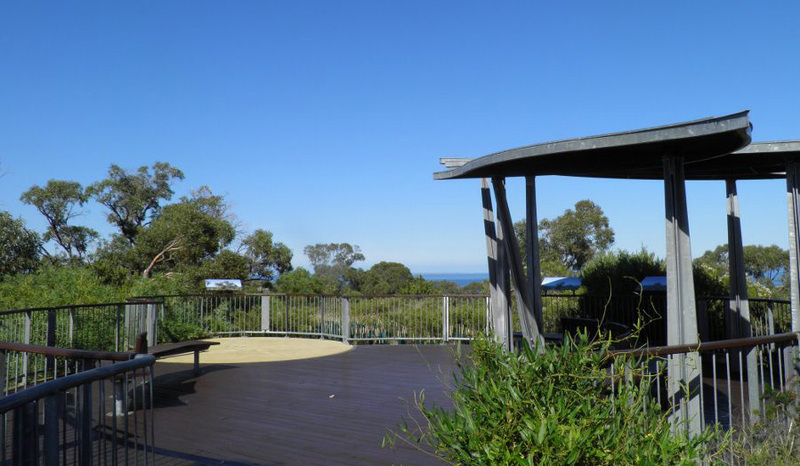 The Trigg Bushland Reserve is located off Karrinyup Road, just before your reach the coast. This is a lovely short nature walk for the family, including the family dog who is allowed off leash. 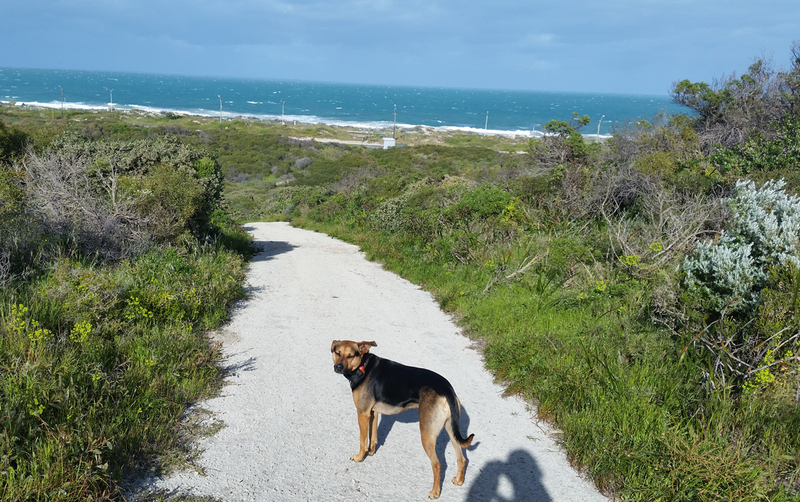 Important: If you are planning on enjoying this walk please pick up your dog droppings - there are bags available at the bins at the main entrances, stay on the designated trails to protect the bushland and keep your dog under control. We are informed that this area is currently under close watch by the City of Stirling with the off leash status possibly up for review - so please respect this area if you wish to see it remain as an off the lead dog area. Access: There are several entries to the reserve at Duart Rd, Karrinyup Rd, Arnott St & Lynn St, Trigg. You can park on the verge of the streets surrounding the reserve. Click here for a location map. Another popular spot for families with dogs is Jackadder Lake in Woodlands which offers a relatively short walking circuit. There is also a huge playground under shade sails which the the kids will love and with plenty of shade it's a great spot for picnics. Access: Birchwood and Rosewood Avenues. Click here for a location map. Another favourite off-leash lake for locals is Gwelup Lake as it offers a few different walking trails - depending on how energetic you feel - with a nice section through shrubbery and a boardwalk section with a lookout. It also features a large open area for throwing a ball around. Please note that the wetlands are off limits for dogs at present. This local government reserve near an abandoned quarry is renowned for its bird life, wildflowers and a 60-foot waterfall. There are four walk trails of varying degrees of difficulty, ranging from the 'Easy Walk Trail' to the more difficult 'Sixty Foot Falls Circuit', which takes in sweeping views across Perth from the top of the waterfall. 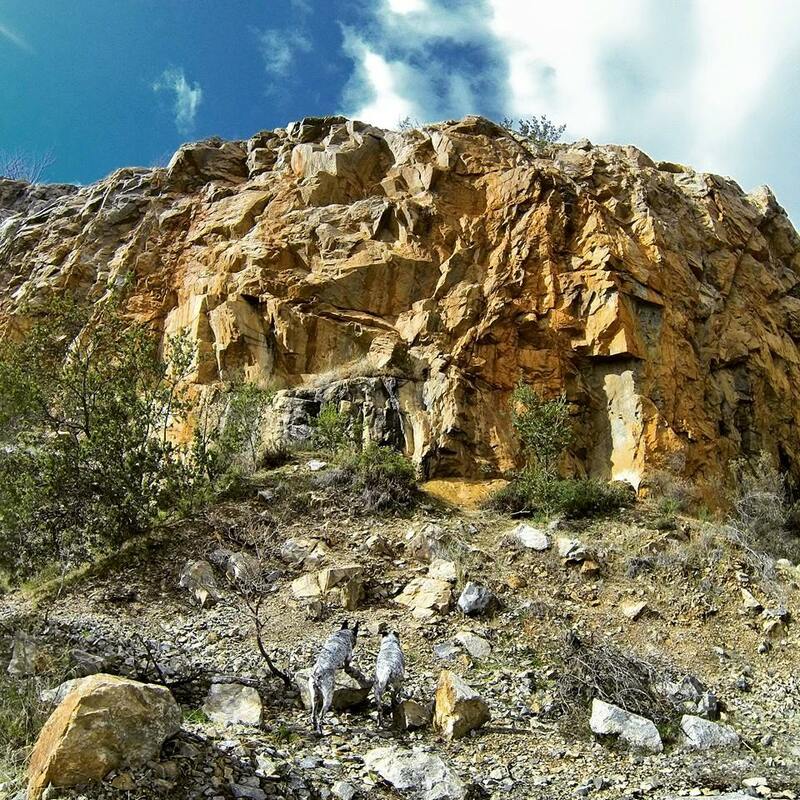 This trail is a bit of a hike and there is a reasonable fitness level required to climb up those hills. Unless your dog is perfectly trained, it is recommended they stay on the leash as you can run into kangaroos as well as other dog owners, especially on the weekends. 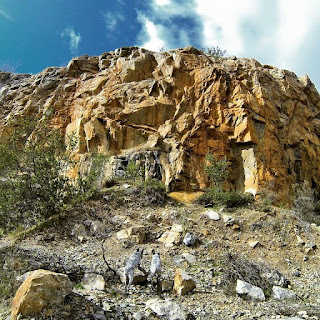 Highlights: Sixty Foot Falls, Blue Wren Trail, Old Barrington Quarry. Jorgensen Park is set on an old golf course so you get a great combination of open space for off-leash running with an abundance of trees and lots of different walking tracks to follow. This scenic park also offers a playground and barbeque facilities. 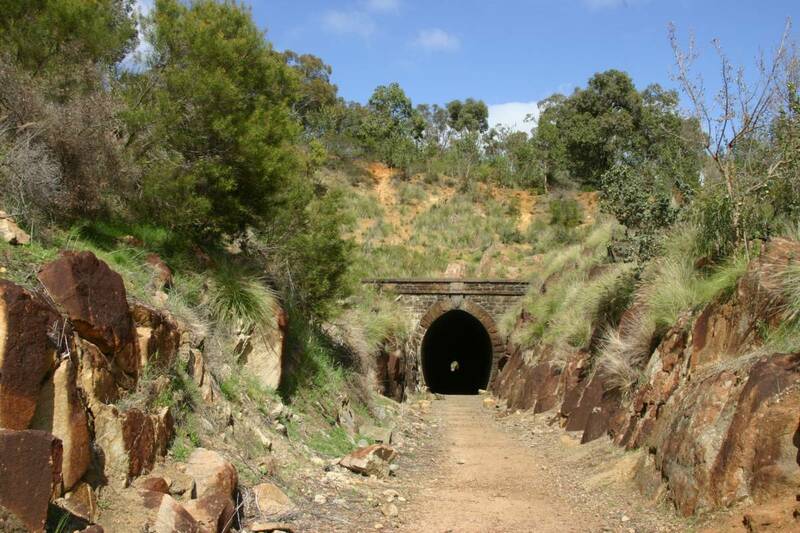 The Railway Reserves Heritage Trail is a popular hiking trail in the Perth Hills and follows parts of the old railway network from the 1800s. Crossing several suburbs in the Perth Hills that border the Great Eastern Highway, there are a number of options for a start/finish point given this a 40km loop! Your four-legged friend will be right at home in the surrounding bush and will have great fun with all the new smells. As this is a multi-use trail make sure your dog is on a leash and you are always aware of cyclists/horse riders. Highlights: Swan View Railway Tunnel, City Views, Mundaring Sculpture Park, Hovea Falls, Darlington Railway Platform. 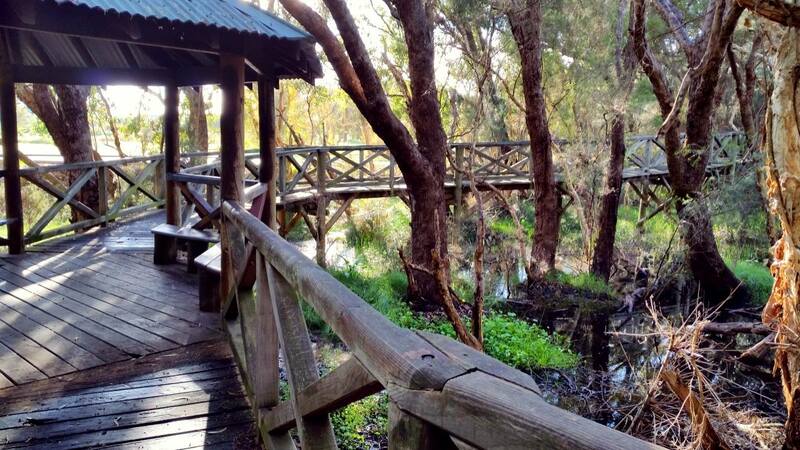 This lovely 3.6 km loop walk (1 hour) along the Wooroloo Brook is attractive at all times of the year. The wildflowers are in bloom in the spring and the waterfall is stunning in winter. The walk adjoins a reserve, which is home to many birds and other wildlife. Dogs are allowed off the leash as long as the owner has them fully under control at all times. The Noble Falls Walk Trail starts at the Noble Falls picnic and parking area (directly opposite the Noble Falls Tavern) off Toodyay Road. The falls are visible from the car park. 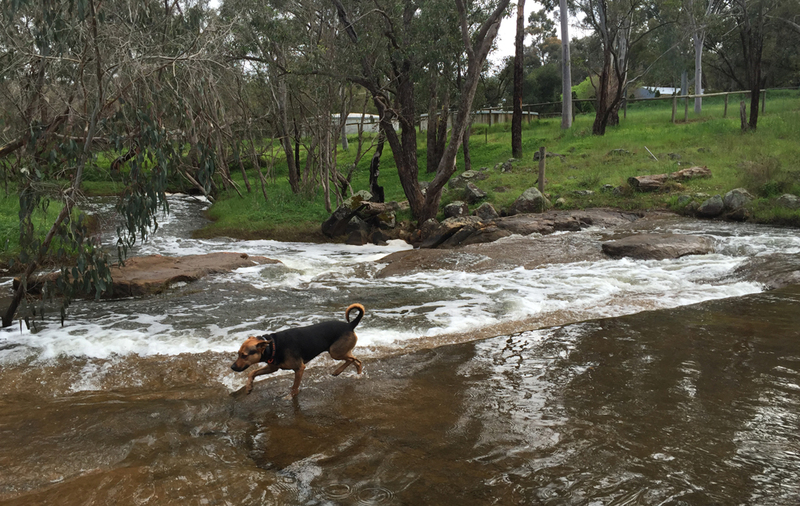 Cross the footbridge and then turn left, following the Wooroloo Brook and heading past Noble Falls. Access: Noble Falls Car Park, across from Noble Falls Tavern, 2672 Toodyay Rd, Gidgegannup, 50 mins east of Perth. Click here for a location map. As the water does not get deep for about 10m or so from the beach, this is a great place where dogs that are normally afraid of swimming can dip their toes in. The water is also exceptionally clear! Access: Sutton Road, Henderson (via Kwinana Freeway). Thank you for putting this list together, we have been to a couple of places already and will work our way through the rest. Simon (Alan, Woolfgang and Cho Cho). Brilliant post. 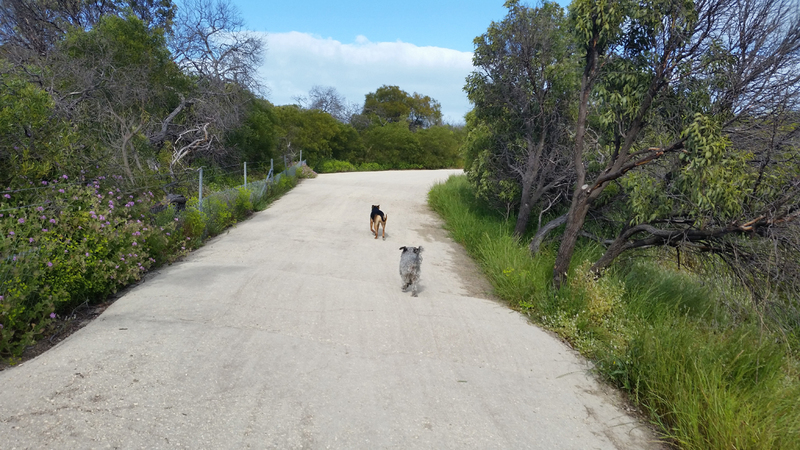 It is so hard to find off leash places and dogs need to run!